HOHENFELS, Germany — Two U.S. Army Soldiers on the Brazilian Jiu-Jitsu Team Hohenfels took home medals at the International Brazilian Jiu-Jitsu Federation European Championship 2019 in Lisbon, Portugal, Jan. 14-21. After one week of competing, Command Sgt. 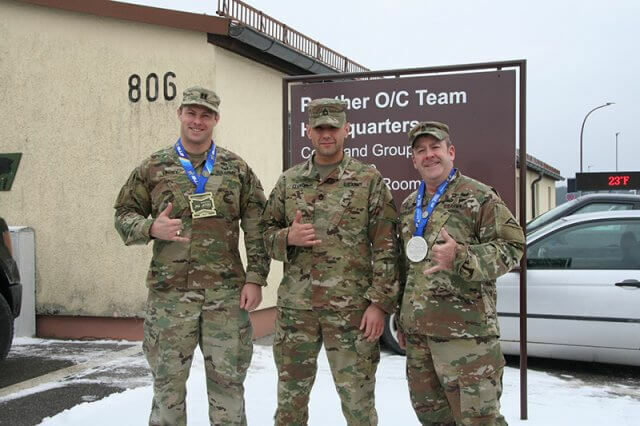 Maj. Christopher McMillian won the silver medal in the Super Heavy weight class and Capt. Jeff Linzey brought home the bronze medal in the Ultra Heavy weight class. Both Soldiers are assigned to the Joint Multinational Readiness Center in Hohenfels, Germany. 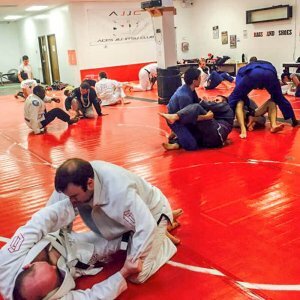 Brazilian Jiu-Jitsu is incredibly effective in fighting conditions. It allows the fighter to take control and most importantly finish the fight without hurting the other person. The technique is so effective that the opponent will either give up or be incapacitated. The overall fighting strategy is designed to equip a physically smaller or weaker individual with an effective method of defending against a larger and stronger attacker. 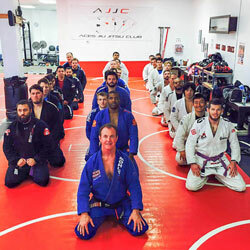 The many benefits of Brazilian Jiu-Jitsu includes not only self-defense, increased flexibility, improved fitness, strength and general physical conditioning, but also stress relief, improved concentration and increased self-confidence. Nevertheless, Brazilian Jiu-Jitsu goes way beyond the mat. For McMillian, a white belt who has participated in the sport since July, it is a life-changing sport. He added that the benefits you can’t see are more important to him. “I’ve learned to push myself further. I have witnessed the power of hard work as I improve bit by bit, made great friends and adopted a healthy, positive lifestyle,” McMillian said. Linzey, a black belt, started out in High School with wrestling and continued with Brazilian Jiu-Jitsu in College. 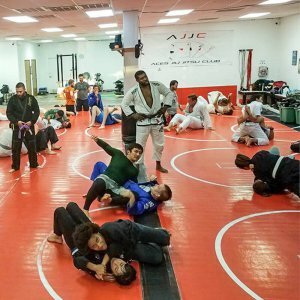 He added that people who begin Jiu-Jitsu rarely intend to train more than a couple of times a week, but there is so much to learn and so fun that it becomes a lifestyle. Andy lives in Austin, Texas with his wife Amanda and their 3 beautiful children. Andy is also the father of a Marine who is honorably serving in the United States Marine Corps. SCHEDULE MY FREE TOUR NOW!